QuickBooks Online is a cloud-based accounting software for small businesses. It offers solutions for managing sales, expenses, cash flow, and more. We compiled QuickBooks Online reviews from our website and available reviews from around the web and found that it has generally positive ratings. We also compared the most popular pricing options for small business owners. Ready to learn more? Visit QuickBooks Online. QuickBooks Online has four subscription options: Simple Start ($15/month), Essentials ($35/month), Plus ($50/month), and Self-Employed ($10 or $17/month). The main differences between the plans include multi-user capabilities, inventory tracking, and TurboTax. Users can also add payroll services for either $39/month (enhanced) or $99/month (full service), plus $2/employee/month. Users who gave QuickBooks Online a positive review like that it’s easy to set up and that the app is easily accessible anywhere from any device. Users who gave QuickBooks Online a negative review said that the online version isn’t as powerful or as reliable as the desktop version. Some users also said that coming from the desktop version, it wasn’t easy to transition into QuickBooks Online. Which Accounting Software is Right for You? What’s your budget for accounting software for your small business? Are you ONLY looking for accounting software to seamlessly integrate with your Zoho products? 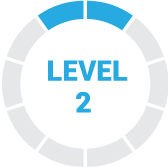 Do you need accounting software that scales with the growth of your business? Are you ONLY looking to use this software to create invoices? 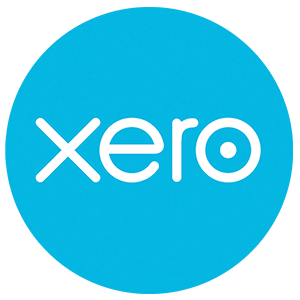 Best Accounting Software for Small Business – Read our buyer’s guide for a comparison of the top three accounting software for small businesses. We compare QuickBooks Online vs. Wave vs. Freshbooks to give you an idea of which accounting software will work best for your business needs. QuickBooks Online Comparison: Simple Start vs Essentials vs Plus – Get a closer look into the payments plans available to you. 39 Free QuickBooks Online Tutorials: Learn QuickBooks Fast – Follow these step-by-step articles and video tutorials to learn how to set up QuickBooks Online and familiarize yourself with the most essential functions, reports, and integrations. QuickBooks Online Training – Online, Free and Paid Options – There are different ways to learn all you need to know about QuickBooks Online. Read our guide to find out what’s best for you. Desktop to Online – Should we switch and how? Based on what you have shared, it sounds like QuickBooks Online will work for you. However, I do recommend that you have the errors fixed before you convert to QuickBooks Online. You should hire a QuickBooks ProAdvisor to come in and fix the issues with your desktop file. For tips on how to find & locate a good ProAdvisor in your area, check out this article. With QuickBooks Online you are limited to one company file per subscription. For example, if you have two businesses that you want to set up on QBO then you would have to sign up for two QuickBooks Online accounts and pay the monthly fee for each. This is one of the advantages that Desktop has over QBO. 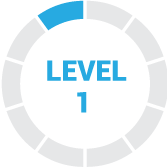 As you mentioned, you can set up an unlimited number of companies without having to purchase an additional license. QuickBooks Online and Invoices – Can I pay directly from QuickBooks Online? Yes you can definitely pay bills directly from your QBO account. There is a company called bill.com that integrates with QuickBooks Online so that you can make payments via ACH or check. The video below is an overview on how you can get started with QuickBooks Online. When choosing an accounting software, it’s important that the software integrates with other applications your business is currently using. 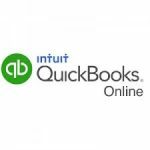 Here is a list of some of QuickBooks Online’s popular integrations. Not sure if QuickBooks Online is the right fit for you? Read our reviews of all top accounting software or check out one of these three QuickBooks Online competitors. Bank integrations. Reconciling. Reports, Custom Reports. Creating/Sending Invoices. Digital filing of 1099’s. Categorizing and tracking income and expenses. Accountant access to books. Pretty easy to use, as long as you know what you’re doing. Support is garbage. Long hold time, outsourced. When I do get a hold of people, they tell me it’s my fault and offer no solutions. I’ve had better luck searching on the internet how to fix problems and errors that pop up. Or I have to ask my accountant to help me do something. I just simply needed a better understanding of accounting in general. I’ve learned by trial and error. TIP: ask your accountant to get you an account. I found out too late that it’s much cheaper to get an account through your accountant, especially if dealing with multiple companies. Great customer service and the platform is very easy to use. This software has worked well when we were trying to calculate our overhead and match it to profit and loss. The only time I would say it hasn’t “worked” for us was when we initially set it up, however I believe this was solely due to it being a new system and we were learning how to use it. How efficient the interface is for balancing our account. QuickBooks Online helped me when I had clients that are constantly on the go. This one client in particular traveled all the time but still wanted access to the bookkeeping. By having QuickBooks Online he was able to have his company in his hands financially from wherever he was. It makes it much easier when questions arise and not having to be at one location to access the records. QuickBooks Online allows businesses to be away from the business but still access records. Ease of bookkeeping without having to be onsite. I wish I would have known of them sooner to start implementing their software sooner. Backups, updates, and access are a breeze with QB Online, especially relative to the clunky local version. As someone who was updating local QuickBooks every year the online version became more than convenience. It has become a real time saver. For a small business like mine, having financials in the cloud isn’t an issue. Intuit’s early days were marked by outstanding customer service, but this has not been the case for years. The company is not easy to do business with when you have unusual requests or a strange troubleshooting issue. I wish I knew that transferring between a local version (software) and the cloud-based QuickBooks Online was darn near impossible. Intuit’s forums and third party sizes are filled with long stories of users who spent far too much time trying to wrestle their data out of the QBO version. And even worse, my accountant took a lot longer to do my taxes because the interface was different and she had no customers on QuickBooks Online. I should have checked with her first. QuickBooks Online works well if there is no complex accounting. It is available online which allows for access anywhere and there are many apps that help its functionality. Since it is available online it is very easy to also integrate with other online programs. QuickBooks Online is not as robust as QuickBooks desktop. It is simple to use for simple business models but there is limited customization of settings and reports (even less than QuickBooks Desktop) that ends up requiring additional use of other programs such as Microsoft Excel to customize. I wish I would have known the limited amount of customization for setting and reports compared to the QuickBooks desktop version.